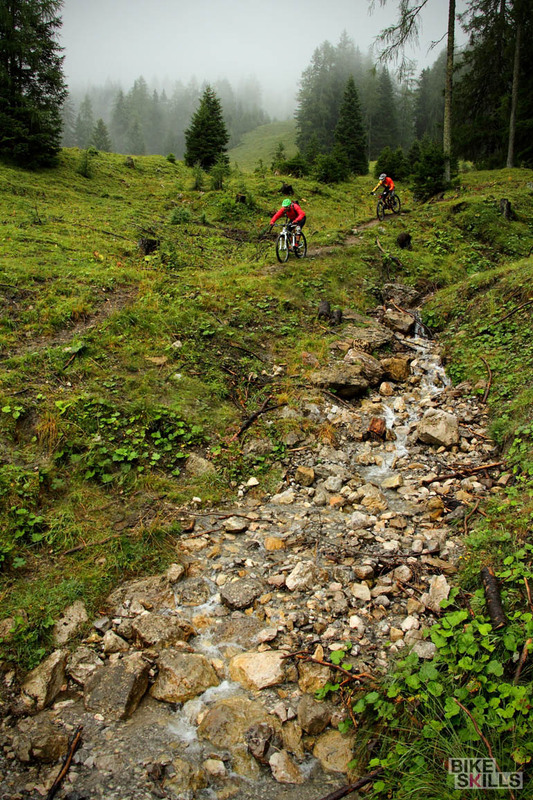 Some places in this world have made a name for themselves as a top mountainbikeresort. 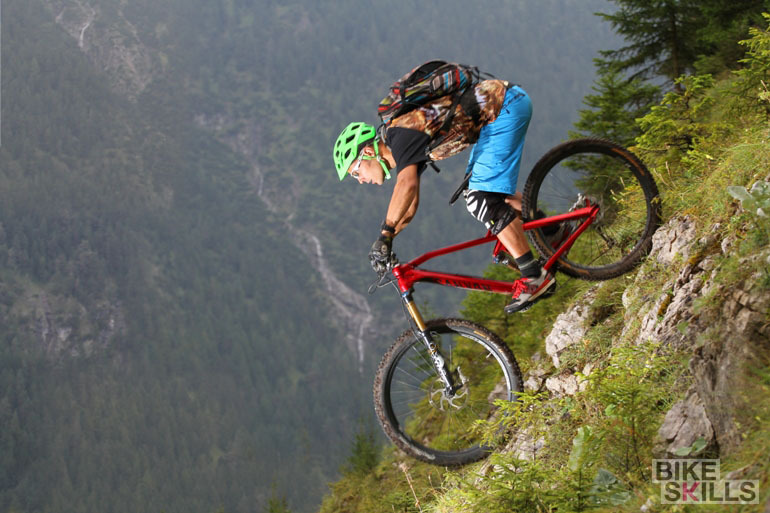 But there are loads of areas that have just about everything a mountain biker could wish for, yet remain relatively unknown to the mountain biking public. 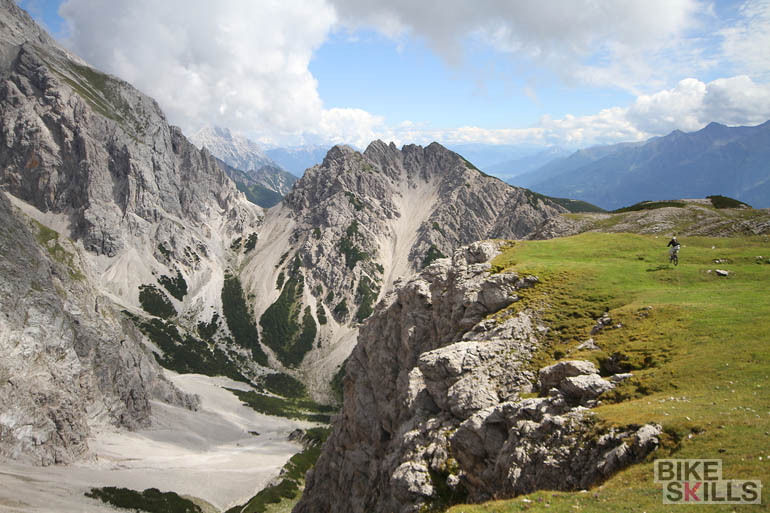 The Austrian Zugspitz-Arena is one of those places, and it is a matter of time before it will be widely recognized as a trail paradise. For the next Bike Skills photoshoot, I had a classic alpine panorama in mind. So we started searching for a destination in the Alps that is not too far from home, but still has big mountain views around every corner. I remembered the Zugspitz-Arena and more specifically the town of Ehrwald, Austria, from a winter holiday many years back. It’s just across the German border, and with numerous peaks exceeding 2000 meters and uplifts for mountain bikes this could be the ideal destination for our next bike adventure. And so it doesn’t take long before we arrived in Ehrwald. ****-Hotel Schönruh in Ehrwald is the perfect base for our trip. The hotel organizes guiding, rental bikes and clinics on demand, and as if the hotel’s wellness-facilities weren’t enough, has a huge bike storage and repair facility in its basement. On our First few days in the Zugspitz-Arena, we see quite some rain. Fortunately, the beauty of the clouds hanging over the valley makes us forget the wetness. There are plenty of singletrails in the mountains surrounding Ehrwald, all you need is to figure out which ones are good for riding. And respect for other trail-users is highly recommended; let’s not forget that hikers built these trails. … but by the time you exit the forest, it turned into a beast. We reckon the lower section of this trail is still under construction, considering the wooden drops that had no landing at all. After the last rainy day, we are happy to head back to our hotel’s comfort zone. It’s wellness-time, at least for the bikes: the indoor bikewash and other facilities make cleaning the bikes a joy and our machines are in A1 condition in a matter of minutes. Another day, another mountain. There is nothing a wheelie can add to such an amazing landscape. But we must admit, it is not easy to keep the wheels on the ground on trails like these. 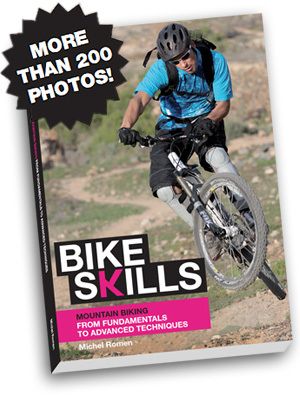 And is not hard to find some extra challenges and trail variations. On our last day of riding, the sun finally comes out. And when Mother Nature shines her love on us, we give back some love to her. 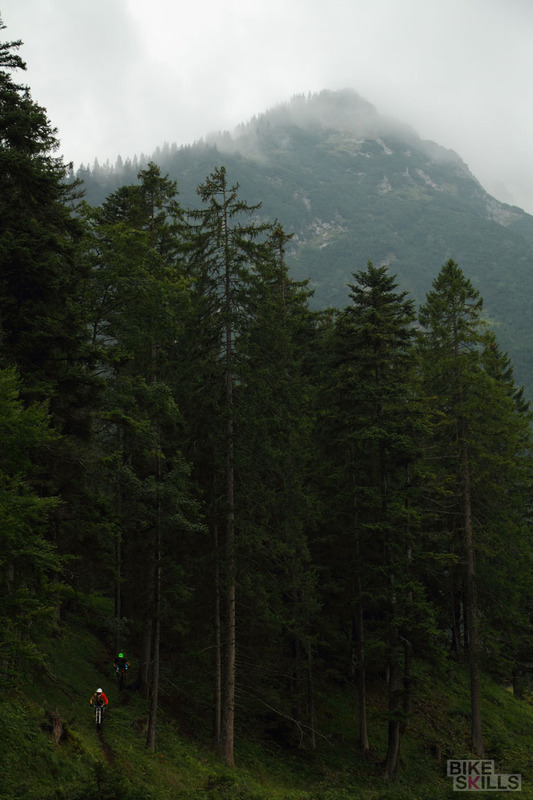 It takes a few hours of climbing and hiking to reach the Höllkopf peak. And when you are finally there, there is a whole mountain range extending even up higher to your left. It’s not a small world after all. There is no such thing as a welldeserved descent. Plenty of challenges along the way, if you ride it 100%. 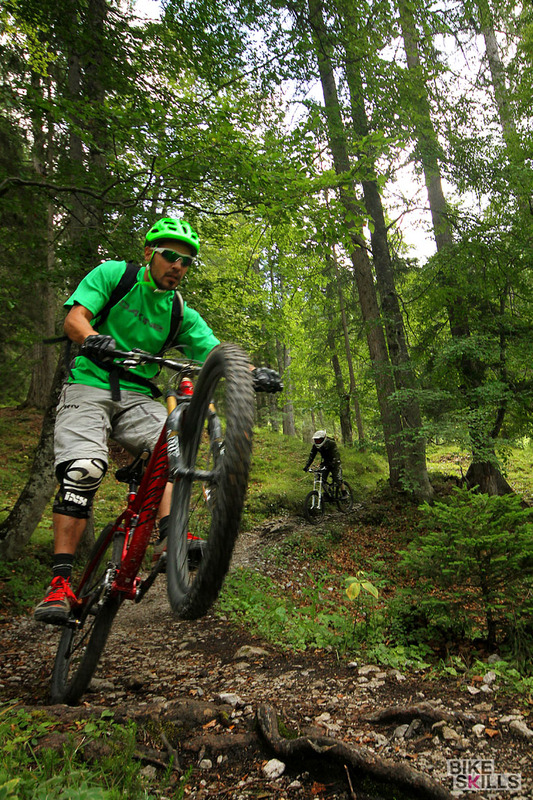 Bike Holidays offers accommodations that are fine-tuned for mountain bikers. 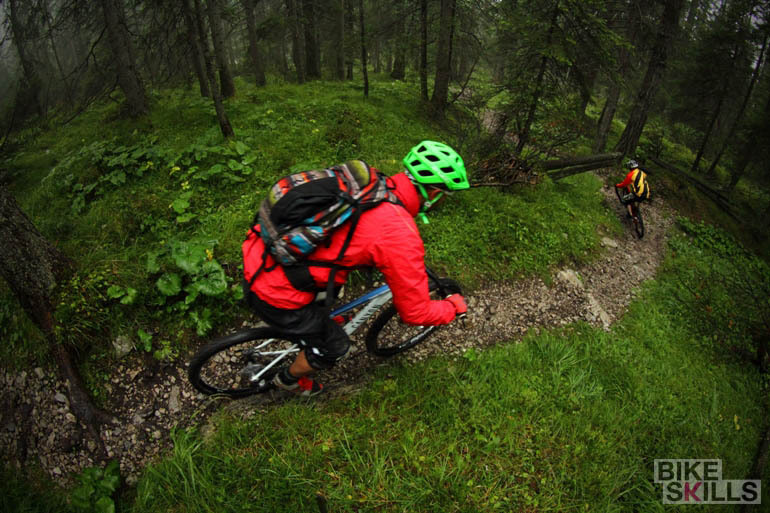 The hotels are all fitted with all thinkable MTB-facilities, and even meet strict Tüv requirements. The areas around these hotels are bike-minded too, with guiding, uplifts, trails and bikeparks often right at the doorstep. Everything you need for the perfect bike trip!